Sir Peter Jackson says filming the Hobbit in 3D ‘literally feels like you’ve stepped in the story’. Sir Peter Jackson says the sunshine, mountains and fresh air of Arcadia Station, near Queenstown, have raised both his spirits and those of his 450 cast and crew. Sir Peter spoke in between scenes where Sir Ian McKellan as Gandalf the Grey, Martin Freeman as Bilbo Baggins and dwarves arrive at the house of Beorn (Mikael Persbrandt). Tuesday was their third and final day of shooting on a giant set, which took eight weeks to build and was based on more than eight months of design – all for one scene of about three minutes of screen time. “This is such a beautiful area, 360 degrees, everywhere you look, incredible scenery,” Sir Peter said. Sir Peter said The Hobbit had been “a strange journey for me” as he originally thought he would produce and not direct the eagerly awaited movies. 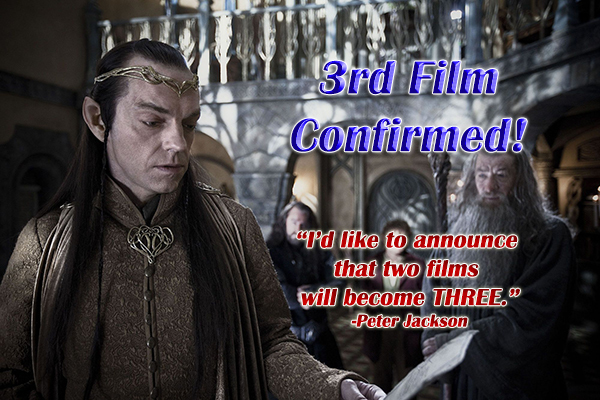 Sir Peter said shooting the two Hobbit films felt like a reunion and “feels like we’re doing it for the right reasons”. The audience knew what to expect, but he still wanted to surprise them. Filming in 3D for the first time provided greater depth and he loved the way Middle Earth was coming to life in a more vibrant way, he said. “You’ll literally feel like you’ve stepped into the story,” he said. The company shot in Hamilton, Ohakune, bluffs near Te Kuiti, Strath Taieri, near Middlemarch and near Paradise over the past three weeks. All cast and crew and gear were loaded on to 200 trucks and moved to Te Anau yesterday for more filming. Asked if he felt the weight of expectation on his shoulders, Sir Peter said: “All I can do is make the best movie I can and hope people enjoy it. It’s going to have a different tone to The Lord of the Rings because the characters are quite a lot different.